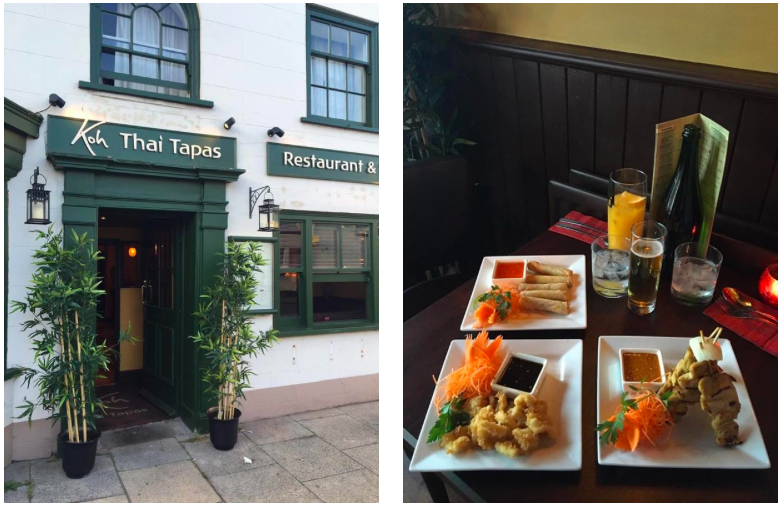 I love tapas and having the choice of lots of little dishes, so when I heard there was a new Thai Tapas restaurant in Romsey, I just had to try it out! 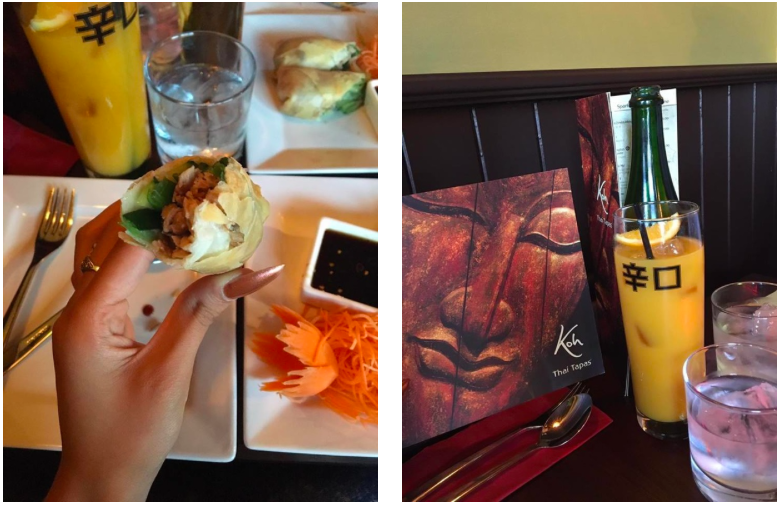 A bit further out of town, a new cute little Thai Tapas restaurant opened roughly two/three weeks ago. From the outside, it looks small and cosy and although the inside is a lot larger than it looks, the atmosphere is still comfortable and personal. 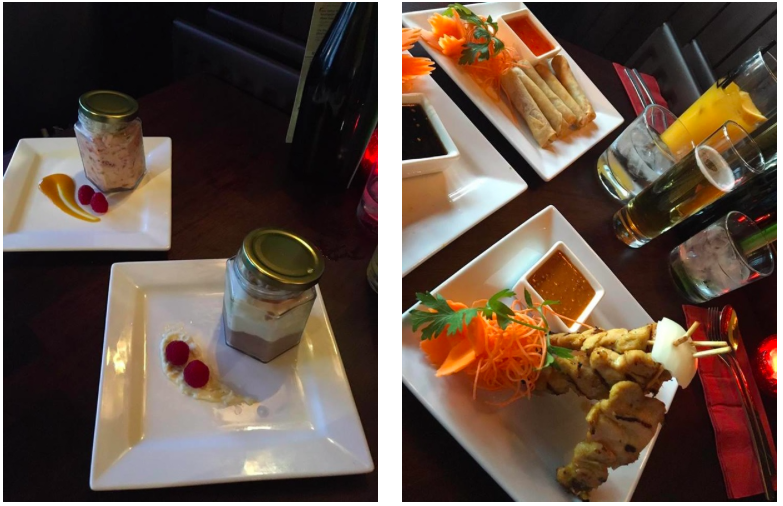 We started by ordering a selection of the many tapas dishes on offer including the spicy spring rolls, chicken satay, squid, noodles and duck rolls. The food was divine and the chicken was so tender it basically fell off the skewer! 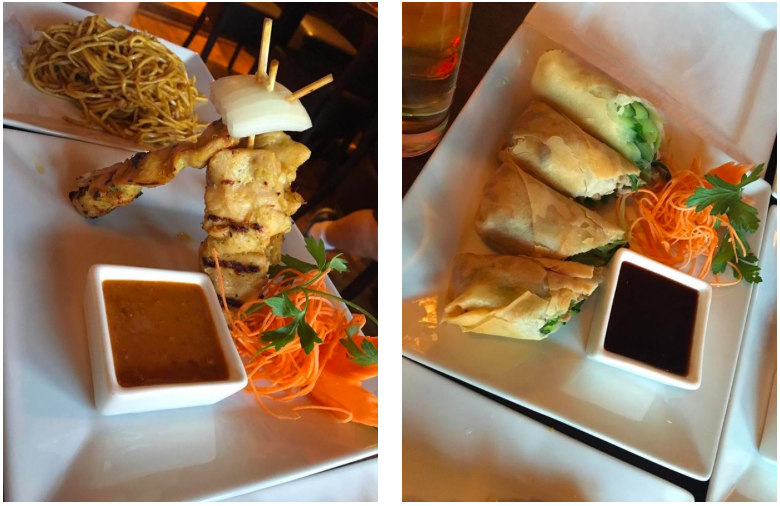 My favourites were the spicy spring rolls and the duck wraps, especially the hoisin sauce that came with the duck, although my friend ruined the sauce by spilling food everywhere!! (Tapas can get a little messy!). We then moved onto the desert where we got to try the Eton Mess in a jar and the Nutty mouse! These are hand made by the manager and they are wonderful! The flavours in both were so good and the eton mess was topped with lime to give and extra kick on the traditional dessert. I would definitely reccomend trying this place out if you like a calm quiet cosy place to eat as Romsey is lovely and quaint, especially in the summer when the weather is warm you can sit by the windows.